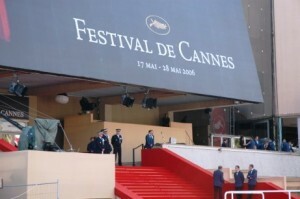 In among the ligging and rigging of last year’s Cannes film festival, visitors may have spotted James Toback and Alec Baldwin trudging wearily back and forth along the Croisette. The director and star, it now transpires, were in town to shoot a very meta documentary – a film about their efforts to actually make a film. For a 10-day spell they interviewed everyone from Ryan Gosling to Martin Scorsese, Nicole Kidman to Roman Polanski. Along the way they took the temperature of a festival perched at the intersection between art and commerce. The documentary’s title, Seduced and Abandoned, alludes to Baldwin’s description of the film industry as “the world’s worst girlfriend”. But it might just as easily refer to Cannes’ teasing, tricky relationship with the major US studios. In this case, however, it’s hard to tell just who is seducing who. On the eve of the 66th Cannes film festival, the romance is clearly in full bloom, with Warner Bros’ star-spangled The Great Gatsby installed as the opening gala, Steven Spielberg booked as jury president, and the schedule awash with studio produce. But is this union as harmonious at it looks? A cynic could argue that all ostensibly happy marriages are really power struggles in disguise. If so, the alliance between Cannes and Hollywood is surely no exception. This courtship has not been without its hiccups. As is the way with most romances, the early years proved the most golden. There were eight American films in the inaugural festival of 1946, including Billy Wilder’s The Lost Weekend, Alfred Hitchcock’s Notorious and a Disney cartoon called Make Mine Music. Delbert Mann’s blue-collar Marty lifted the Palme d’Or in 1955, while fragrant Olivia de Havilland was the first American jury president in 1965. Throughout the 1970s, Cannes became a kind of Mecca for the best of US cinema, with MASH, The Conversation, Taxi Driver and Apocalypse Now ascending to the winner’s rostrum. In those halcyon days, it was possible to believe that Cannes and Hollywood were largely singing from the same hymn sheet.